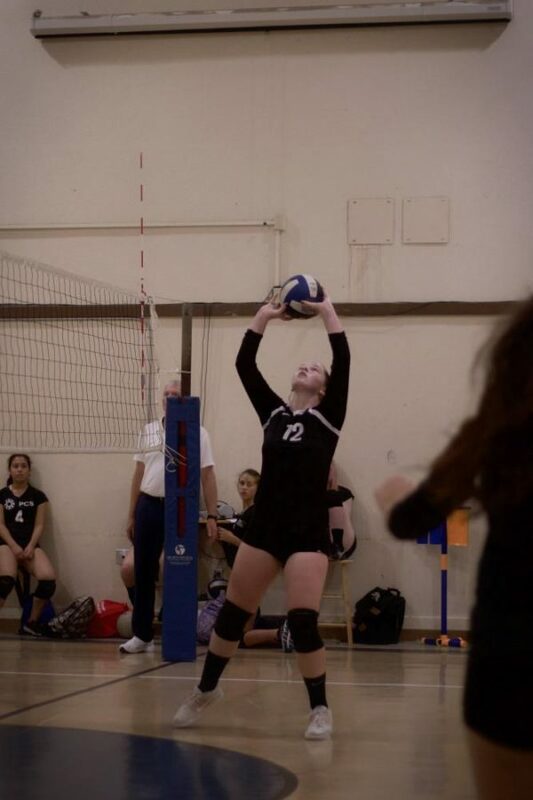 While the PCS girls varsity volleyball season is well underway, there are plenty of more games to get excited about. To give you a preview of the rest of the season, we spoke to a number of players and coaches about this year’s team, season goals, and sports culture at PCS. This year’s girls varsity team has about fifteen players. The head coached by Chelsea Ching, who is assisted by current senior Phillip Grote and Pacific Collegiate alumni Jake Lee. They have a strong starting lineup including notable players like captain, Devin Derecho (senior), Corey Friedenbach (senior), Chloe Cornejo (senior), Sofia Raffaelli (senior), and Natalie Walker (junior). “Our strongest players are Chloe Cornejo because of her consistency and our setter Kiersten Binger who has shown a lot of improvement” added Team Captain Devin. The current starters also told us that the future of the PCS girl’s volleyball team is in good hands, saying that “I think what is great about our team is that we have a number of players who have a ton of potential”. Another player added that, “Zea and Jessie (freshmen) are perfect examples of this. Give them a couple years and they’ll be great”. As the PCS girls varsity team is doing everything they can to have a successful campaign, they also need your support. “We definitely need more people to go to girls volleyball”, said Natalie. “A ton of people just show up for the boys team but that’s it.” Devin seconded this opinion saying that more people should come for school spirit. More energy and support for the girls from PCS will boost the player’s morale and potentially lead to an even greater season so let’s show some support for our Pumas! 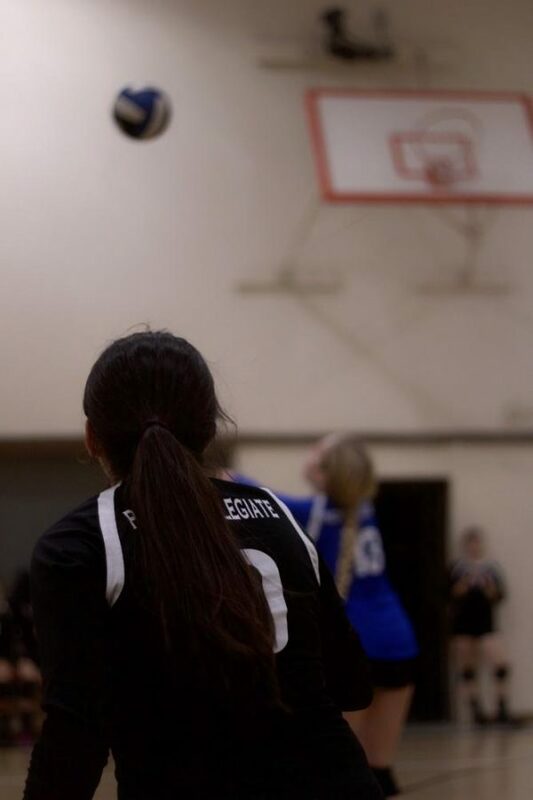 Edit: The PCS Varsity Girls Volleyball Team has two games this week and two next week. Including tournaments, their current record is 6-14.